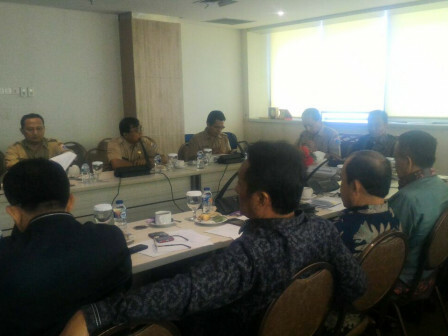 " We assess that the city's family resilience handling program is very good"
West Sumatera DPRD's Commission V members, conducted a working visit (kunker) to Jakarta Provincial Government. They wanted to learn about the community welfare and family resilience program applied by Jakarta Empowerment, Child Protection and Population Control (PPAPP) Dept. West Sumatera DPRD's Commission V Chairperson, Hidayat expressed that the program was very good to be used as a reference for his party in drafting bylaw about family resilience. "We assess that the city's family resilience handling program is very good. We did a comparative study to later be applied in West Sumatra when drafting the bylaw about family resilience," he expressed. Family Resilience Section Head, Kelik Miyarto explained about the development of RPTRA and family planning village as a realization of the community welfare and family resilience program. "This is an application of eight family functions, ranging from religion, socio-culture, love, environment, education, health and so on," he stated.